I cannot imagine designing a kitchen without trying to reserve at least one small spot for open shelving. In my past kitchens, I even took the doors off an existing cabinet to create open shelves! Kitchens can feel a bit cold due to all the hard surfaces in the space, so open shelving is an opportunity to add warmth, charm, light and personality to what is still a functional part of the room. 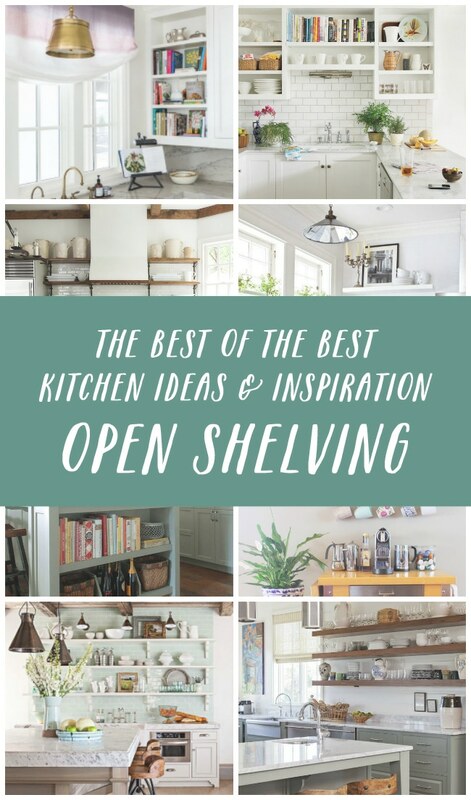 Today as we kick off the Best of the Best Kitchen Inspiration series I thought we’d take a look at ideas for how to incorporate kitchen open shelving. You’ll find some great inspiration for functional and attractive shelves to suit your own style preferences. I’ll share insider tips and my thoughts from my own kitchen experiences, too! While I couldn’t share every single kitchen I love with open shelves, I picked a variety to inspire and spark ideas. I have always loved an open cabinet built-in to the end of a kitchen island. I included an open bookcase on my island in my English Tudor kitchen. I found this location to be a little bit dustier than shelves up on a wall, so my preference for ease of cleaning and styling of shelves in this location is to use them for pretty cookbooks, baskets, or even pots and pans I don’t mind rinsing off before use. Definitely LOVE the look and would add one in my new kitchen if I had room for an island. You could also incorporate this type of open bookshelves into a lower cabinet if you have enough space. Shelves make the most of wall around a doorway and the brackets give this kitchen a more casual vibe. I love the idea of tucking open styling shelves between two cabinets to break up the monotony of a lot of closed cabinets! This is also a great trick to get the look of a “wall of tile” without actually having to tile and entire wall of the kitchen! Small kitchens can really benefit from some open shelving. Visually they expand the space by at least a foot and give you space to add personal touches which will make your kitchen more charming and interesting. You can use open shelves in a small kitchen for everyday dishes, too, because every inch counts in a small space. 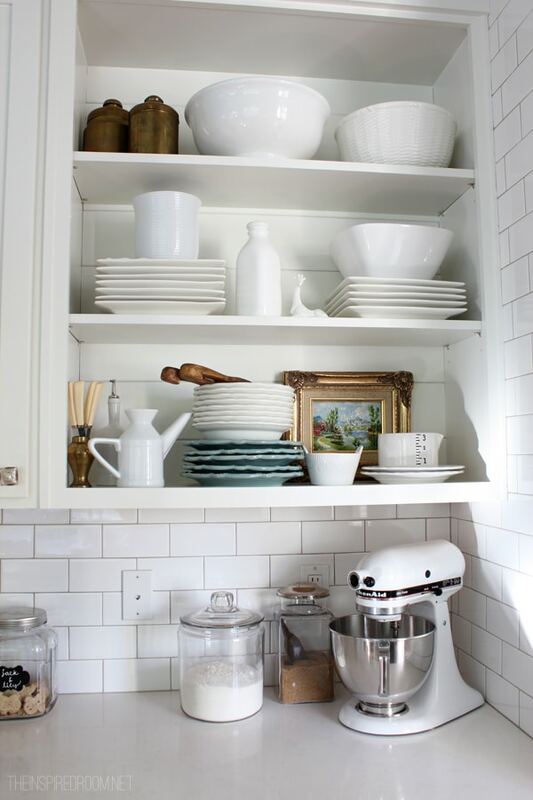 Pretty dishes never look messy if you stack like-sizes and items together. 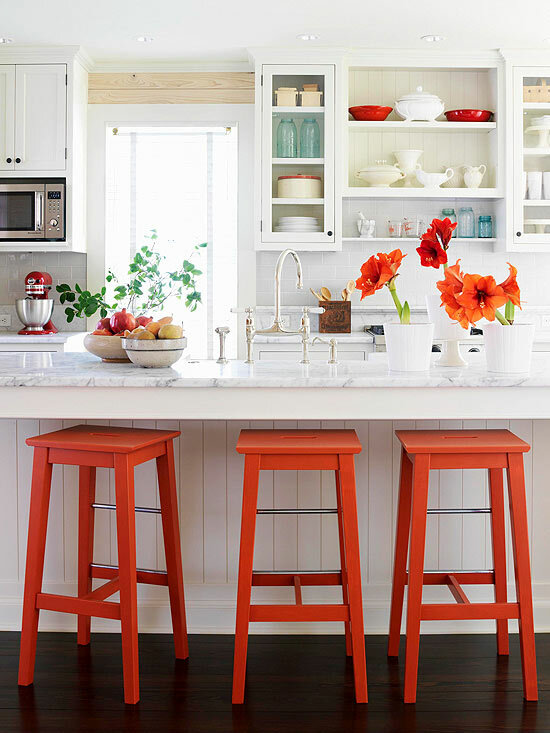 Wood shelving can bring warmth and added character to a kitchen with a lot of painted cabinets. 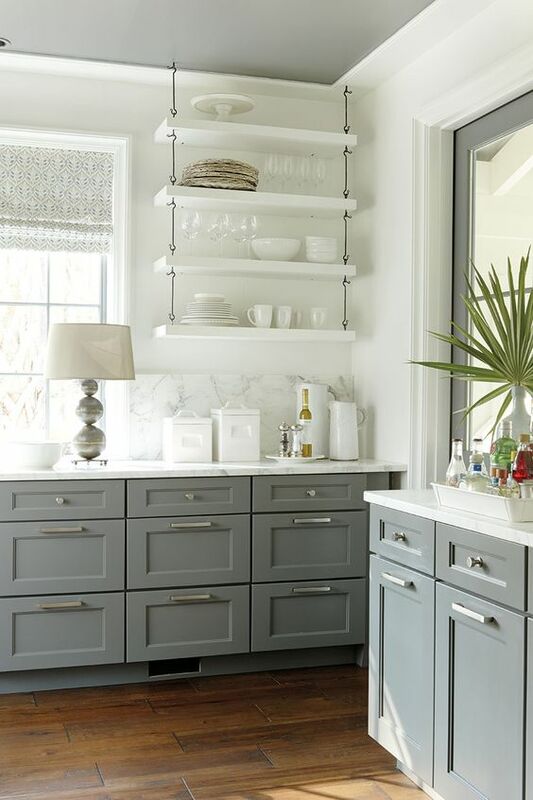 You don’t have to remodel your whole kitchen to have the eclectic look and extra storage of open shelving, a kitchen cart and an IKEA shelf and hanging rod can do the trick! 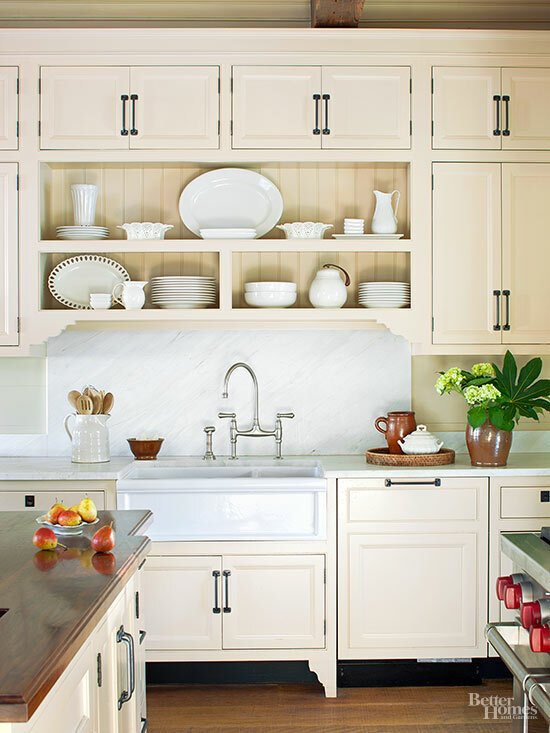 Corner cabinets can be hard to reach, so they are a great spot for the style and ease of open shelves. You’ll also save money with shelves rather than another cabinet purchase if you are remodeling. 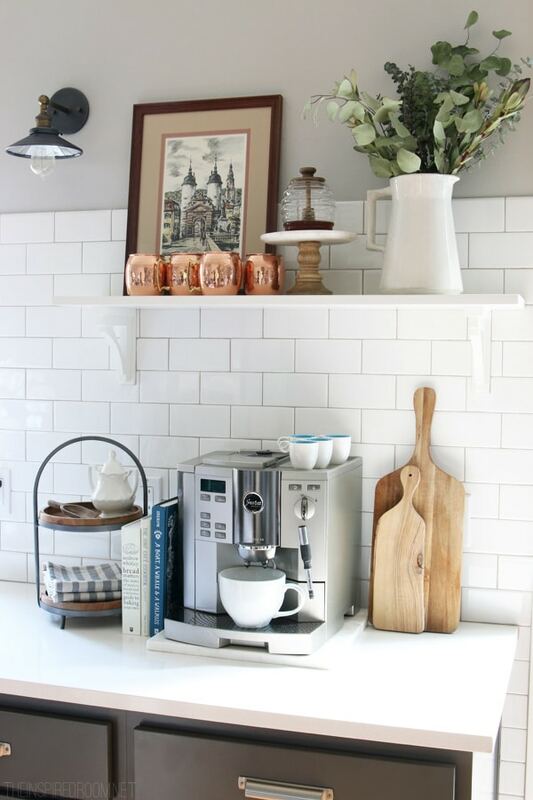 Take off your cabinet doors for instant open shelving like we did in our old kitchen! We went an extra step by adding planking to the back of the cabinet to give it extra detail. Hang open shelves on either side of a quality hood vent above a stove for a really charming look and storage on a featured wall. Set a unique style statement in a kitchen with your own design mix of cabinets and open shelving. Brackets can be added for extra flair! If you are a collector of pretty dishes, you should show them off in your kitchen! Your kitchen should be your happy place and if you have things that make you smile, use them to decorate and personalize your space. 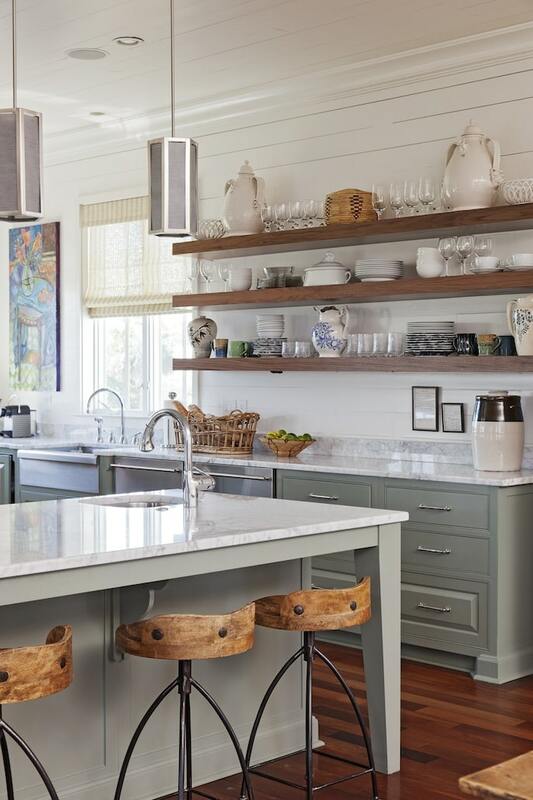 The look of kitchen open shelving can be streamlined with floating shelves or simple brackets and white and clear dishes. 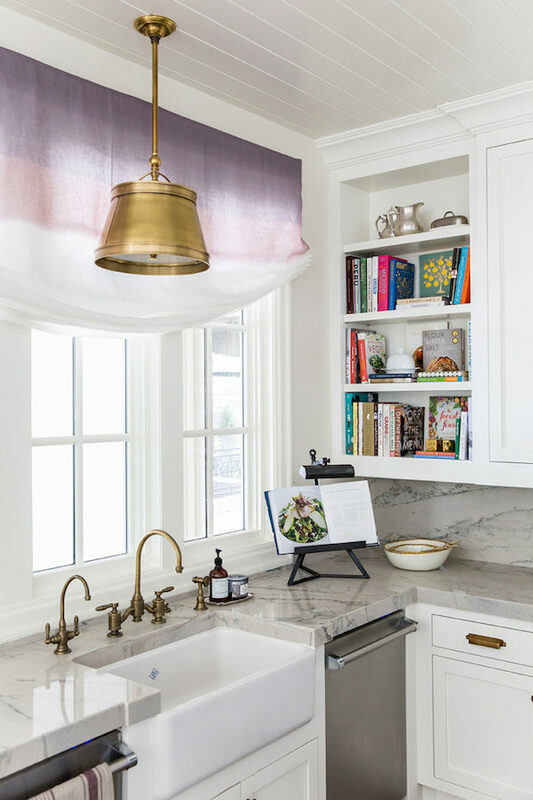 A single open shelf can be located to help define a specific zone in your kitchen such as a coffee station, or simply be one special place to style your kitchen with seasonal favorites. If you have a large kitchen, you can go all out to create a spectacular feature wall with open shelves, your favorite tile and statement lighting. Open shelves are clearly not the place to display unattractive things, that is what your closed storage is for. Display your favorite things! If you don’t use attractive dishes every day, you SHOULD! Life is too short to use ugly dishes, so as I always say, I’d rather strive to make everyday items more beautiful. Even simple white dishes are pretty, so look for affordable dishes at thrift stores that you can easily replace and collect over time. If you have kids or a clumsy family, you can find pretty and yet unbreakable everyday dishes to display on shelves, too! 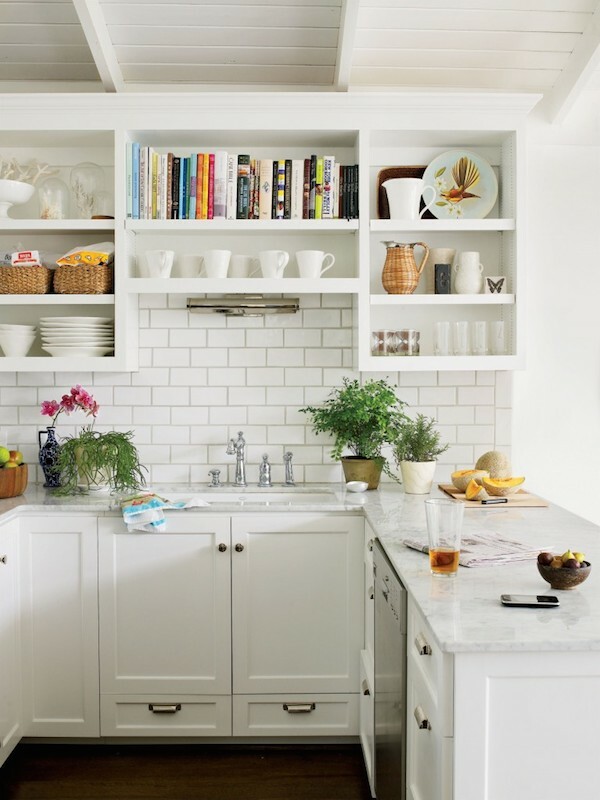 Open shelving doesn’t have to result in a busy look for your kitchen if you don’t prefer it. 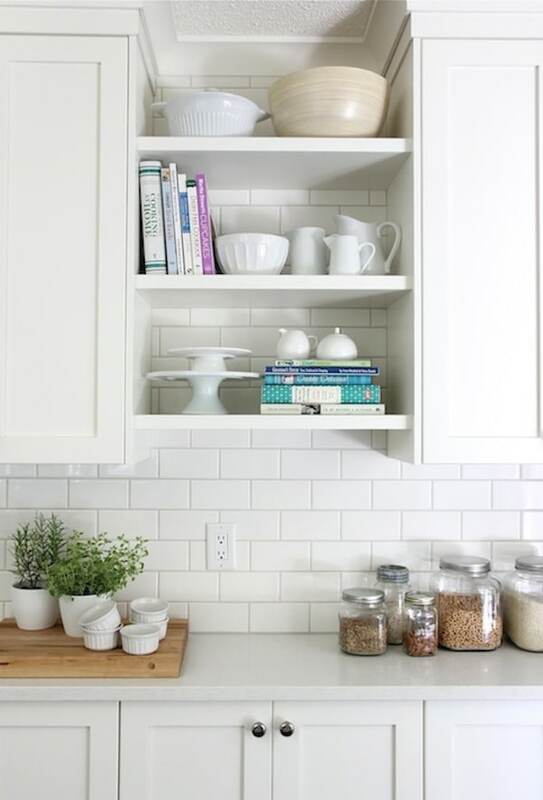 You can add as much or as little open shelving in your kitchen as you like to get the look YOU want. More open shelves or less particular styling will result in a more eclectic look and less open shelving or tidier styling will result in a more streamlined or modern look. Your own preferred open shelving look is up to you. The type of open shelving you choose can also impact the resulting look. Brackets or no brackets, the style of brackets, open cabinets on the wall or in an island can all change the look and feel of your kitchen. You might find examples of a style you like in this post, pick and choose the elements that are best suited to what you like. If you love the open shelf look and enjoy the items you put on your shelves, dust isn’t a big deal. I promise. You’ll either find the shelves don’t accumulate much dust because you use the items too often to let dust settle, or you’ll enjoy styling them so much that dusting them now and then is a labor of love and can be an expression of gratitude for your home. If you don’t the sound of that, open shelves might not be right for you. Grime on open shelves near a stove can be an issue, but not nearly as much as you might fear if you have a good ventilation system above your stove. Again, if you love the look and use the items often enough, a little extra effort to keep things clean might be worthwhile. Otherwise, keep your open shelves in a cleaner part of the room. 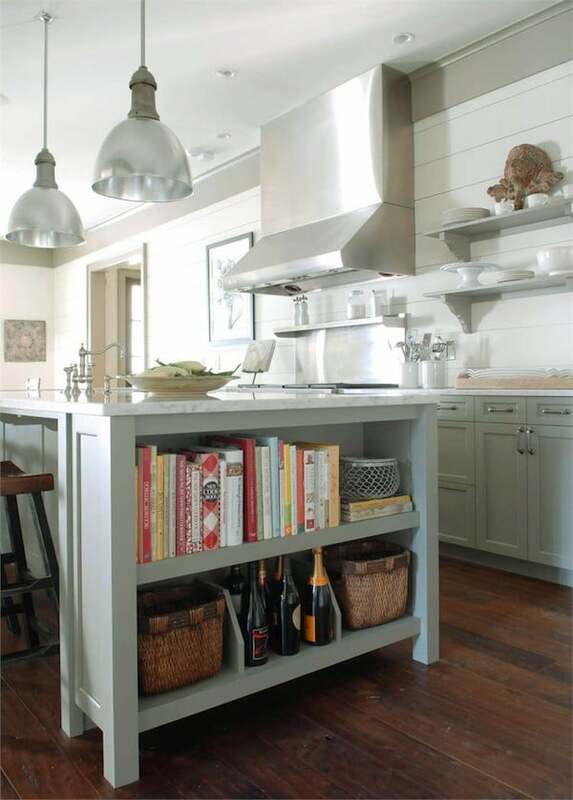 Shelves on the lower part of a kitchen island will likely get dustier than shelves on a wall so keep that in mind when you plan out how to use your open storage. If you have a lot of dust in your kitchen, you might check into potential solutions to minimize the dust like new quality air filters or cleaning your ductwork regularly. 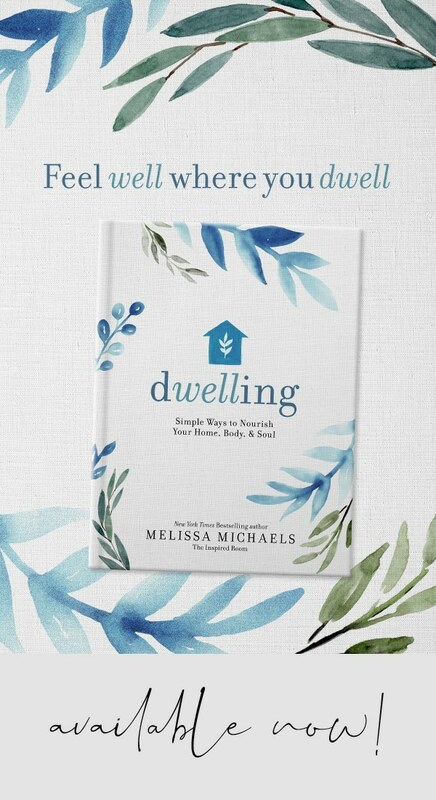 Thank you for the beautiful inspiration, Melissa! I do want to include some open shelves in my next kitchen. I think they are a great solution for corners. I also appreciate the tip about lower shelves accumulating more dust. I hadn’t thought of that, but it makes sense. Great post! I have some dead space between where our pantry ends and the wall (there’s a sliding door so the cabinets couldn’t go all the way to the wall) and I’m hoping this little nook is the perfect place for open shelves. 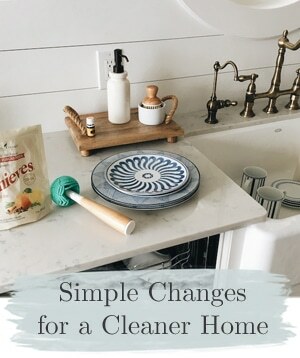 I admit – they used to scare me (I’m not known for my organizational skills), but I have some in the bathroom and bedroom and I love styling them! Awesome! That sounds like the perfect spot for them. You really can’t go wrong with a stack of pretty dishes or mugs, have fun! Love this post ! I’m about to redo my very dated 1960’s kitchen in a few months and I definetly think I’ll do some open shelving in my new kitchen. Plus it will save me some $$$ of cabinet costs. When I remodeled the kitchen in my last house, I removed a cabinet next to the window over the sink and replaced it with open shelves. Because the shelves didn’t have sides, it allowed so much more light from the window into the room! I plan to do the same thing in my current home. Excellent point, they definitely allow more light to flow through which is a very good thing! I love each and every one of these styles, and your home is always top notch! 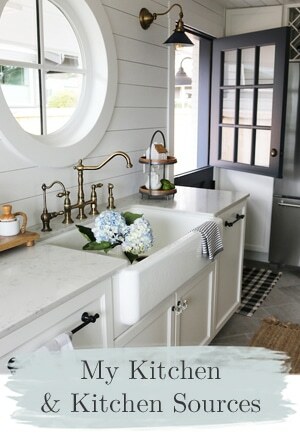 Will be pinning quite a few of these to my “fabulous kitchens” pinterest board! We have an old kitchen but one of the first things I did? 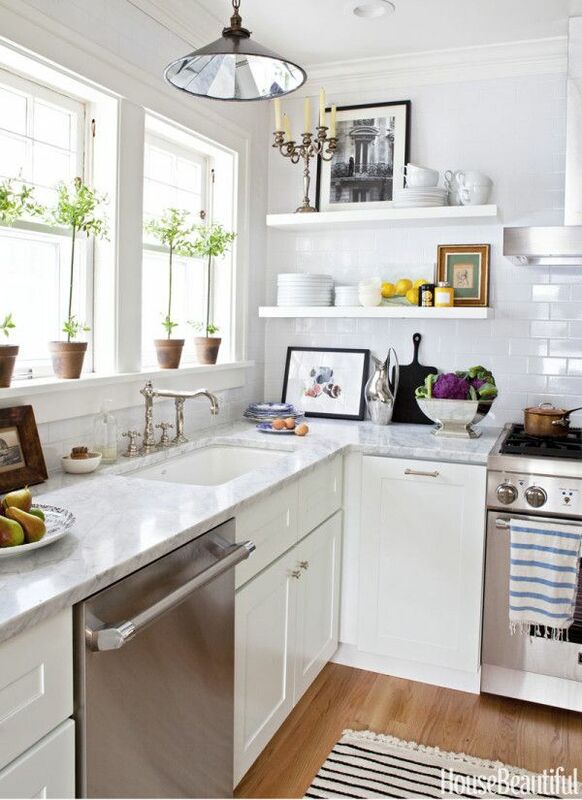 Add open shelving on each side of the sink. Love them! I love this concept! especially is you have pieces that are worth showing off! thinking of applying this concept (very carefully because if its not taken care of it can look a MESS) once I get my first flat! A simple styling approach is a stack of pretty dishes, they never look messy! Enjoy! favor enviar información en español. I love the concept of open shelving and they look beautiful, however, I’ve often wondered about the dust that would accumulate on everything. I can see where it would have more dust on the lower shelf, but there would still be dust on the upper shelves too. I see it every time I dust the shelves in my husband’s study or bookcases in my home . That’s the only reason I would shy away from it. But it does add a lot of style. You’ll find the spaces you rarely touch like top shelves of bookcases will accumulate more dust than open shelves with items you use regularly in the kitchen. So when dust is a concern I suggest using open shelves for your pretty every day dishes or mugs! A quick wipe of the shelf now and then while dishes are in the dishwasher will keep it looking fresh! I love open shelves in kitchens!! I have so much stuff thought I”m scared it would look cluttered. These are super cute and elegant looking though. 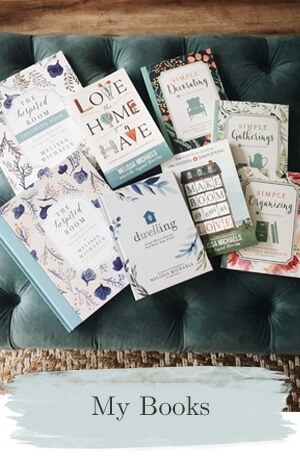 Melissa, I love the idea of the focus inspirational posts, and starting off with open shelving is appropriate to the Summer season when we want our homes to be all about light and bright. Peggy’s experience above is exactly what I’m aiming for in my kitchen. In fact, it’s your kitchen pic which inspired me to go from removing the doors with plans to paint the inside to removing the entire cabinet. I have a similar configuration of sink to the left counter over the dishwasher and patio door to the right. My area is a bit smaller than yours but I benefit from a corner sink with two windows. The west window opens to a screened-in patio but the south window opens to the great outdoors and house across the way which is a very light beige and, living here in nearly always sunny Arizona, I get a ton of light. I removed the doors a while ago and I plan to paint all the cabinets white and thought I’d color the inside and stage it with my pretty but rarely used dishes. However, I see that cabinet and the sink every time I turn away from my desk in the DR turned office and I realized that no matter what I do, it takes up wall space that would otherwise reflect so much light from that south window. Your pic sealed the deal of decision for me and became my inspiration pic. 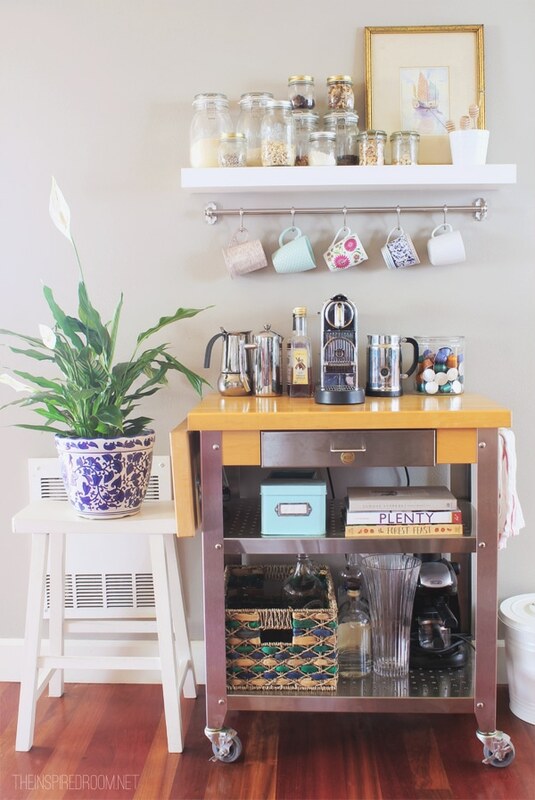 What’s so extra great about your posts is that you always find so many great pics which offer so many different options including that great little outside-the-box kitchen cart/IKEA shelf/rod idea. 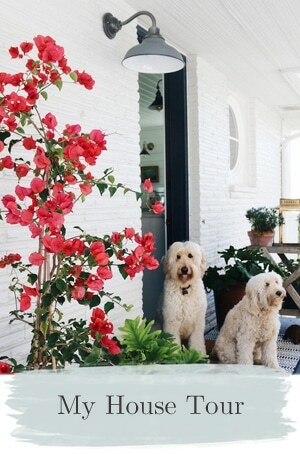 Also, didn’t get a chance to comment on your post the other day, but your post on the Happy Medium in Design was great too, not just for defining my style but again for the wonderful pics you choose. I’ve learned that even if I don’t care for or even really dislike a room at first glance, if I have time to linger a bit to analyze, I always learn something and I sometime leave with totally new ideas. . 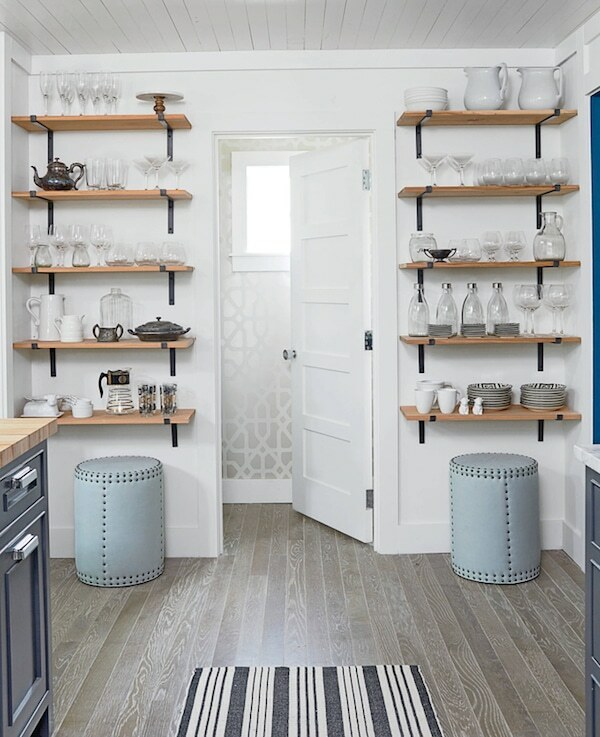 I have always loved the look of open shelving but have been afraid of “opening” up to show what is inside. 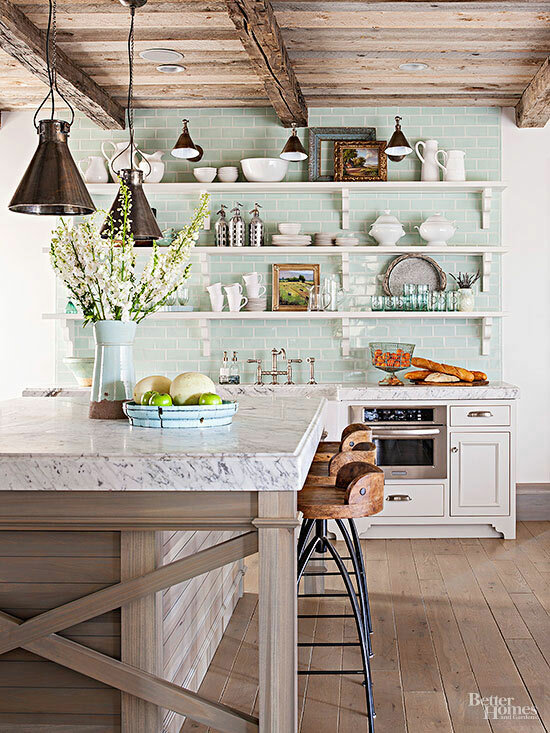 This has inspired me with all the tips in designing my next farmhouse kitchen. 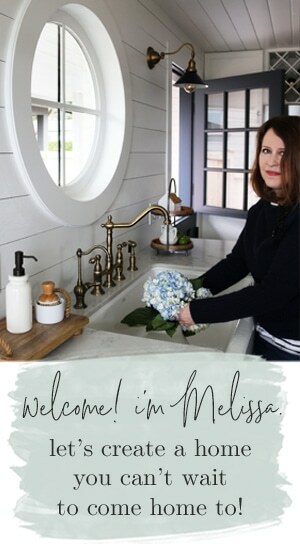 Hi Melissa, thanks for the wonderful post! I am just getting my kitchen settled in a new to me house. The kitchen is original 1950’s…so it’s in need of some love. There is a section of cabinets that I want to remove the doors and try the open shelf look. I think it will make my kitchen feel bigger and be more charming. I was struggling with the will it get dusty…and thought about adding glass to the cabinet doors instead, but I truly like the open shelf look even more and it is so accessible too. Thanks for the timely post. I am going to be “brave” and go for the open shelving!! What an interesting, timely and inspirational post Melissa! Only last week I put up some open shelving in a corner of my kitchen which was looking a little bare and it’s absolutely true what you say, it adds warmth, charm and personality by the bucket-load! I love the look, but live in earthquake country. My cabinets have extra strong magnet locks for the purpose of keeping dishes from falling out in an earthquake. Since you also live in an earthquake prone area, was that a consideration at all? I guess a big earthquake is so rare here that it hasn’t really been an issue or a worry in all the years we’ve lived in the NW! Even when we did have an earthquake or two, nothing really fell over or broke. I’m sure it’s only a matter of time, but I think an open shelf or two is still worth it to me to enjoy every day. I had no idea about the magnets on cabinets! That’s interesting!